From Millington, Tennessee, Hardy was an All-State selection and rated #5 player in Tennessee by SuperPrep, #8 by Scout.com and #12 by Rivals.com. He decided to take his talents to Ole Miss, where he starred for the Rebels. Hardy recorded 26.5 sacks and 39.5 tackles for loss, and was considered one of the best pass rushers in the country; however, he broke a bone in his right foot which caused his draft stock to plummet. Hardy was eventually selected in the 6th round of the 2010 NFL Draft by the Carolina Panthers and made an instant impact on their defensive unit. 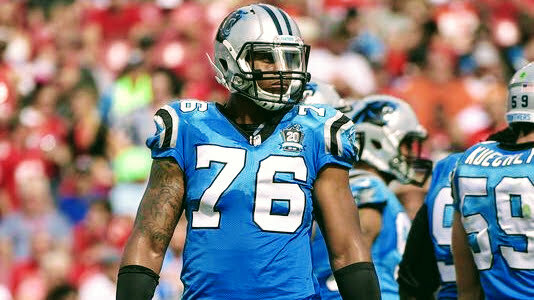 In 2013, his finest season wit the Panthers, Hardy recorded 15 sacks, earning a Pro Bowl selection and second team All Pro honors. The Panthers placed the franchise tag on him that year when he became a free agent. Unfortunately, Hardy ran into some off-field issues and was not re-signed by the Panthers the following year. He did get one more contract with the Cowboys, and despite good on-field production, did not receive another contract due to conduct detrimental to the team. In 2017, Hardy sought a second opportunity to restore his brand and prove to the league he was a changed man. For this, he turned to The Spring League during its inaugural 2017 season.